This month a group calling themselves the MICATS staged a protest at Attorney General Bill Schuette’s home in Midland, Michigan. The Detroit News has a story here. For the record, I have never supported extremist groups or individuals like those in MICATS and neither has respectmyplanet.org. I don’t know them, affiliate with them, or in any way condone what they did. RMP supports as part of our stated mission the migration away from oil as an energy source. RMP supports ending oil pipelines that traverse our streams, rivers, and lakes where we draw our drinking water. RMP would like to see Line 5 stop transporting oil through the Straits of Mackinac or anywhere it threatens freshwater. RMP wants to accomplish these goals, however, within the framework of the law and we will always support and work with the MDEQ, MPSC, and our elected officials. People who perpetrate these protests who think they are doing something positive or noble are in fact defacing the very institutions that give them their freedoms and high standard of living. The protestors drive gasoline powered cars to these protests with fuel refined from the very tar sands they protest and drink hot coffee in morning diners heated from coal mined in Illinois while they upload videos of their protests using smartphones made in China where there are no regulations protecting freshwater resources. The MICATS actions reflect poorly on many groups who work to protect our environment. The MICATS actions allow proponents of expanding oil & gas infrastructure to broad brush environmental activists and set back years of hard work by perpetuating a stereotype. A stereotype that Rush Limbaugh describes as an Environmental Whacko. Right wing talking heads use these stereotypes to block common sense legislation that can improve our economy and environment and start us on the path to energy independence and away from using crude oil for energy. 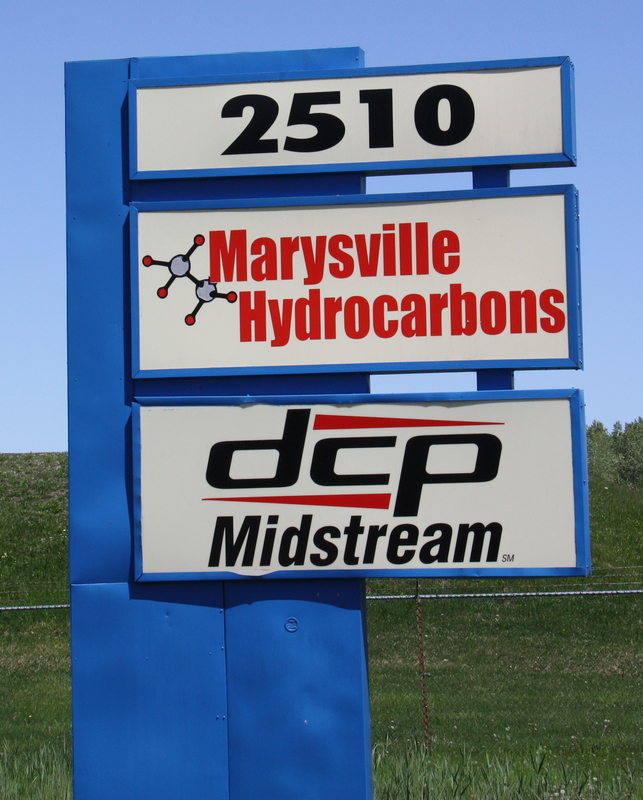 The Marysville Hydrocarbons facility is on the south side of Marysville which is just south of Port Huron. Enbridge Line 5 makes its last stop in the USA here before heading across the Saint Clair River to the oil refinery shown in this month’s cover photo. The old DTE Marysville coal plant was just across the street from this location. It was imploded on November 5, 2015. Here is a drone video of the recent Marysville DTE coal plant implosion. Across the Saint Clair River in Port Huron, Michigan, you can see the Imperial Oil Refinery in Sarnia, Canada which is this month’s featured photo and the endpoint for Enbridge Line 5. This area of Sarnia is also known as chemical alley and many people have jobs turning the oil that arrives in Sarnia into the fuel the protestors use to drive their cars to Midland, the dyes they use to tie-dye their tee shirts, and the chewing gum they chomp on as they trespassed at the Attorney General’s home. This irony is important to drive home. We all have to recognize our culpability in the problem before we can all work together to be part of the solution. We need to find reasonable and common sense solutions that stop threatening our freshwater resources as well as give us the energy and products we need to maintain our lifestyles. Actions like those taken by MICATS might seem well intentioned to some but in effect set back real progress on reducing America’s demand for oil. A positive way to eventually end all crude oil pipelines, railcars, and leaking underground storage tanks is to support fuel cell electric vehicles and the infrastructure required to fuel them. Supporting fuel cell electric vehicles will end all oil pipelines, all leaking underground storage tanks, and all the ills oil brings to our economy and environment. Developing alternative powertrains for our vehicles to truly end oil use is a global initiative that can help Michigan too. We need a comprehensive global approach which will also help with local issues like Line 5. We can do our part by working with the Michigan public & Michigan government. Enbridge Line 5 leaving Marysville Hydrocarbons heading across Busha Highway which runs parallel to the Saint Clair River. This is Line 5’s final stretch before crossing the international border to Canada. The best way to retire crude oil pipeline infrastructure is to support fuel cell electric vehicles like the Toyota Mirai, Honda Clarity, Mercedes GLC, & Hyundai Tuscon. Soon many more automakers like our hometown General Motors will sell production fuel cell vehicles. You can help Michigan adopt fuel cell vehicles by writing your representatives and asking them to support building Hydrogen fueling infrastructure in our state. It is important to understand that changes in energy infrastructure take years & decades of hard work to implement. RMP supports all workers in the oil industry that bring us the energy we need to survive while RMP works to achieve a better method of obtaining that same energy and creating new jobs for those same workers in similar fields and also for future generations. 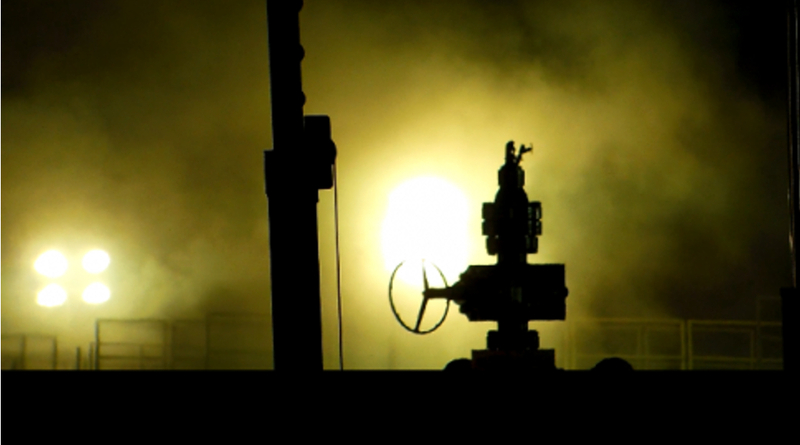 RMP demonstrates each month with our blog posts that oil is a problem both economically & environmentally. RMP does so with respect for the fact that oil is a key element of our high standard of living and the people working in the industry will need new jobs before old infrastructure can be retired. We all must work together toward real world workable solutions like fuel cell electric vehicles. Know that crude oil pipelines & refineries will exist as long as cars & trucks use gasoline and diesel fuel; there cannot be one without the other. 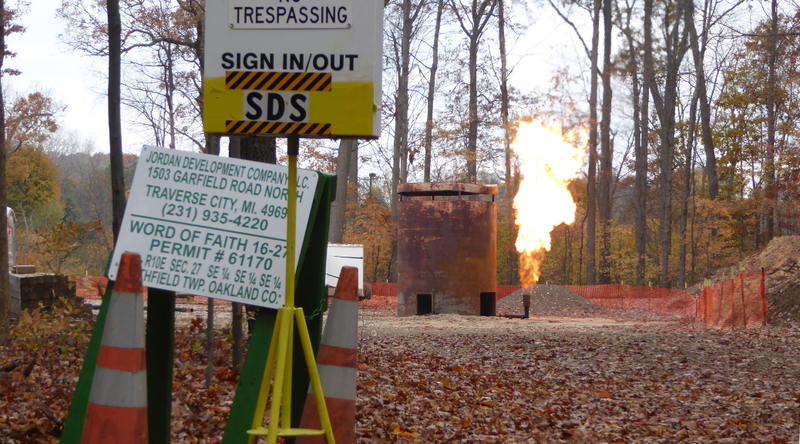 In other Michigan news in July, Judge Michael Warren sided with the Word of Faith church in Southfield to allow the drilling of the Word of Faith 16-27 oil well. Judge Warren’s ruling noted that the state Natural Resources and Environmental Protection Act’s Part 615 gives the state Supervisor of Wells, a division of the Department of Environmental Quality, authority to regulate oil and gas development in the state. 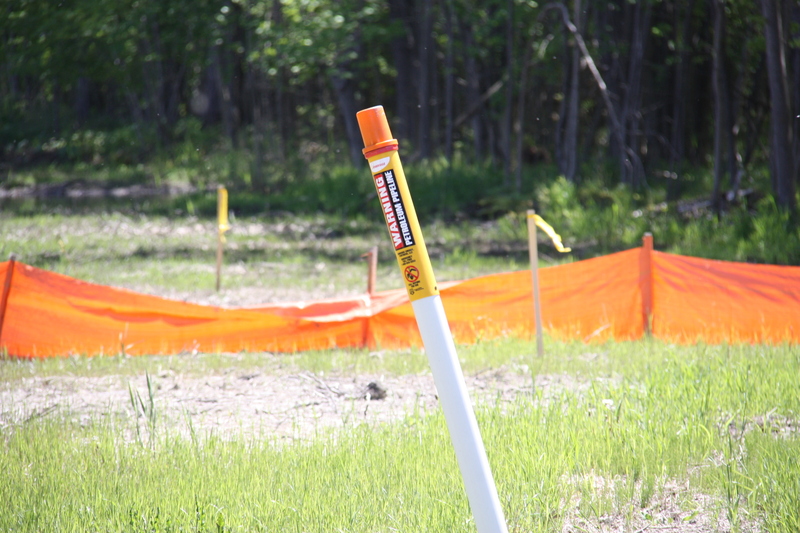 He rejected Southfield officials’ arguments that their zoning ordinance limiting where and how drilling can occur takes precedence. You can read Keith Matheny’s July 12, 2016 article in the Detroit Free Press here. Things are still very slow in Michigan oil & gas. The numbers for July are again anemic. 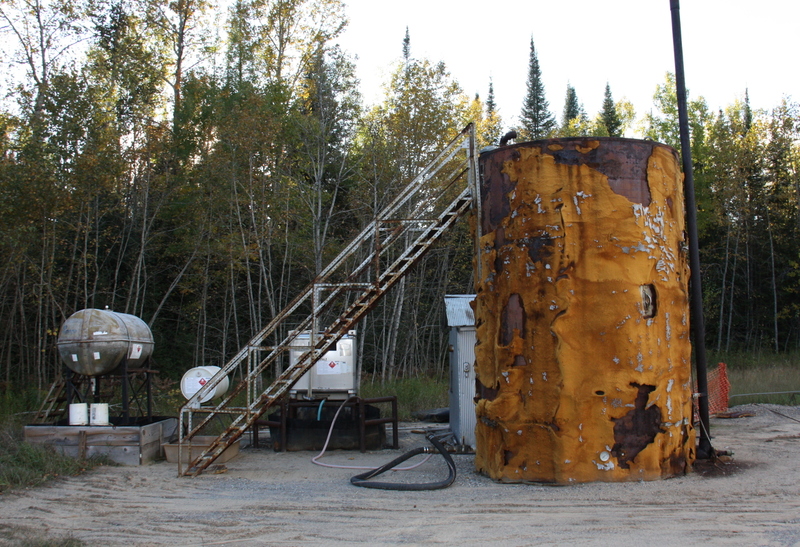 We have two new applications in July both for oil wells. This brings the total year to date number of well applications to eleven. We have three new permits in July bringing the year to date total up to 16. We have 8 wells reported plugged in July bringing the annual total so far up to 77 wells reported plugged in 2016. 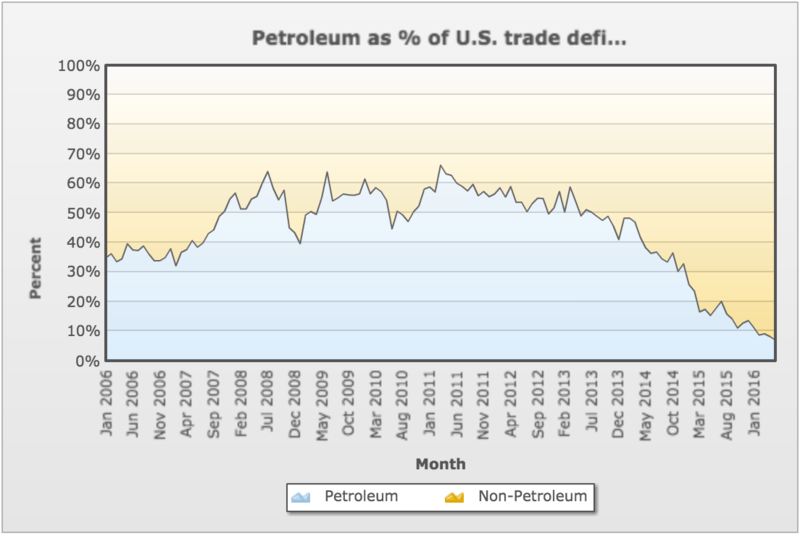 Petroleum as a % of US Trade Deficit for May 2016 comes in @ 7.0%. Data for this KPI lags three months behind the current date. The previous month’s deficit (April 2016) was @ 8.2% which represents a 1.2% month over month downtick. This graph is doing exactly what RMP predicted would happen in December and that’s a good thing for America. Click to enlarge. It’s still slow. Very slow. No signs of new activity on the horizon. See you next month. Please share this post on your facebook and tweet it on your twitter by clicking the share buttons below. Please like us on facebook and follow RMP on Twitter @respectmyplanet.